WHAT'S MISSING ON YOUR LOT? 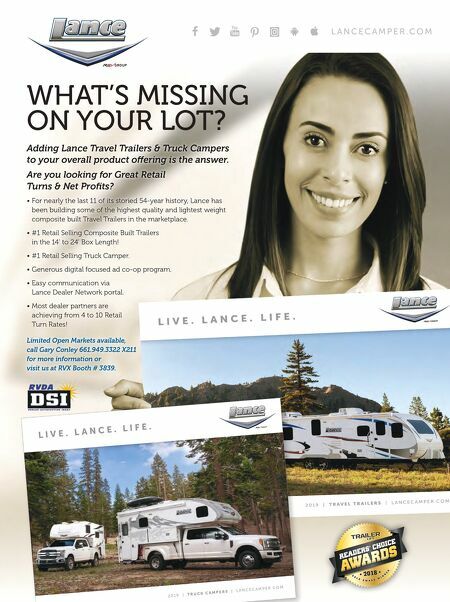 Adding Lance Travel Trailers & Truck Campers to your overall product offering is the answer. Are you looking for Great Retail Turns & Net Profits? • For nearly the last 11 of its storied 54-year history, Lance has been building some of the highest quality and lightest weight composite built Travel Trailers in the marketplace. • #1 Retail Selling Composite Built Trailers in the 14' to 24' Box Length! 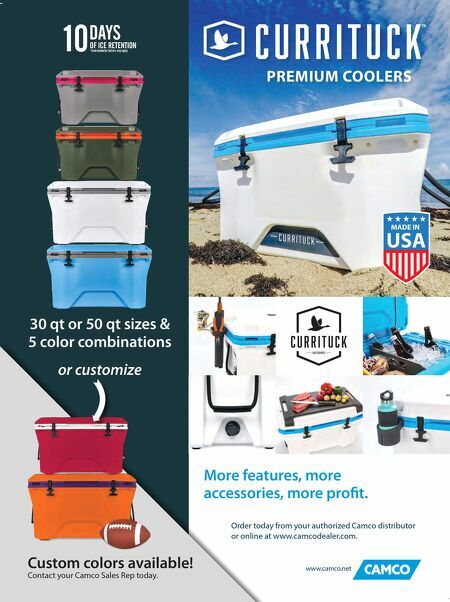 • #1 Retail Selling Truck Camper. • Generous digital focused ad co-op program. • Easy communication via Lance Dealer Network portal. • Most dealer partners are achieving from 4 to 10 Retail Turn Rates! Limited Open Markets available, call Gary Conley 661.949.3322 X211 for more information or visit us at RVX Booth # 3839. L A N C E C A M P E R . C O M 2 0 1 9 | T R U C K C A M P E R S | L A N C E C A M P E R . C O M L I V E . L A N C E . L I F E .